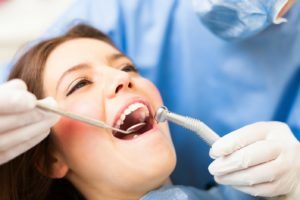 Do you avoid going to your dental check-ups? Are you scared of what the Dr. Bakhtyari or your hygienist may uncover? Anxiety is a perfectly natural feeling and quite common when you’re dealing with the unknown but that fact is a preventative dental plan helps avoid serious and costly dental problems and supports a healthy, confident, smile. At Premier Dental Care in Herndon, we tell all of our patients that preventing dental diseases and conditions starts at home with good oral hygiene and a balanced diet that is low in sugar and high in fiber. Prevention also includes regular dental exams every 6 months or as often as prescribed by Dr. Bakhtyari, routine cleanings, and x-rays when needed. As part of any good oral care plan, a preventative maintenance program serves to avert the onset, progress, and recurrence of various dental diseases and conditions. Regular dental cleanings prevent tartar from eroding teeth or creating holes in them, which is how cavities are created. With regular dental checkups every six months the likelihood of catching oral cancer in time is dramatically higher. Regular dental cleanings are essential in catching and addressing gingivitis also known as gum disease. Dental x-rays are an essential diagnostic tool that provides valuable information about the teeth and surrounding structures that may not be visibly apparent during a regular oral exam. At your check up your neck, jaw, and lymph nodes, located just below your jawline, are checked for any swelling, lumps, or other abnormalities, which if found, could signal a major health issue. Regular dental check-ups are essential in catching periodontitis, a serious gum infection that damages gums and can destroy the jawbone. Periodontitis is the #1 cause of tooth loss in the world. If you would like to schedule your next dental check-up please contact us!